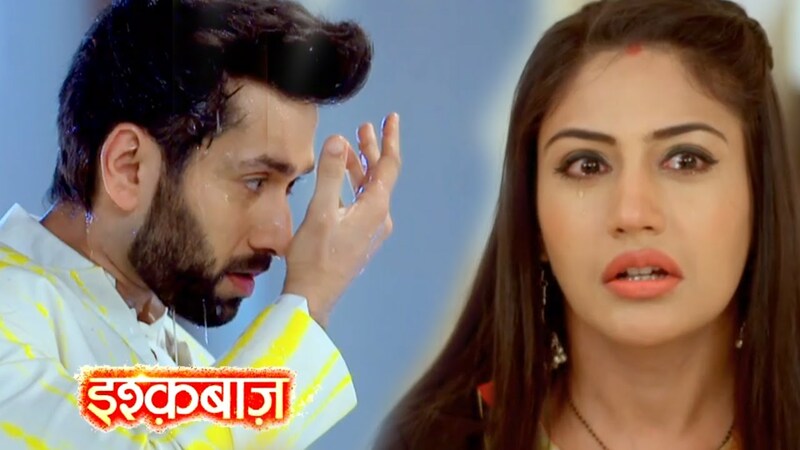 Here’s what is in store for the viewers of Ishqbaaaz in the upcoming episodes! It would be seen that Shivaay (Nakuul Mehta) come to the chawl where Anika and Nikhil are getting married. He tells everyone that Anika loves him and has an affair with him. Nikhil believes Shivay and refuses to marry Anika. 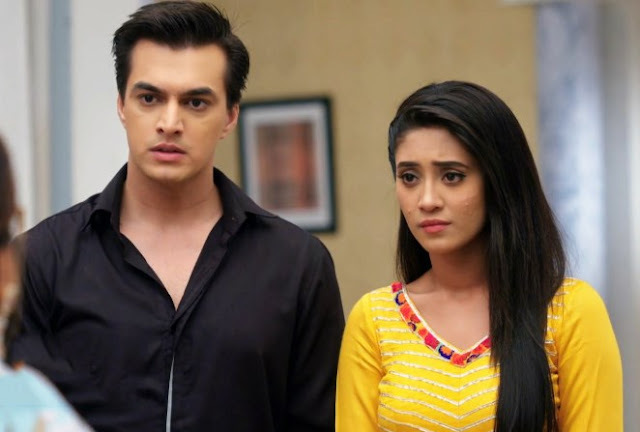 Anika requests Nikhil not to believe Shivay. However, Anika gets blamed by everyone and her aunt insults her. Gauri supports Anika as she knows that her sister cannot be wrong. Shivaay defames Anika in front of everyone. He wants to break Anika’s marriage as she has broken Priyanka’s marriage. Anika(Surbhi Chandna) cries and asks Nikhil not to leave from the mandap, Shivaay is lying because of his grudge. Shivaay shows some videos and evidences against Anika, to prove that Anika had a relation with him. Nikhil get shattered and does not know how to believe Anika after seeing the videos. Nikhil throws away the Jaimala and breaks his marriage with Anika. She tells him that she wasn’t with Shivaay, she has no terms with him. Shivay forcibly drags Anika from the mandap. She takes her to the temple and marries her. Anika goes missing. Shivaay later informs Gauri about Anika. Gauri gets shocked after finding about Anika and Shivaay marriage. Anika gets many staining tags on herself, but Gauri saves her elder sister. Aunt humiliates Anika. She kicks out Anika from the house. She compares Anika with her mum, who also had a bad past. The neighbors too try to beat up Anika (Surbhi Chandna) and punish her for her characterless act. Anika gets fortunate to get support from in-laws. Omkara and Rudra Oberoifind out about the marriage and support Anika, by going against their brother Shivaay. They take a stand and protect Anika from mad neighbors. They take Anika to Oberoi Mansion and support her to counter Shivaay’s hatred. They are sure that Shivaay Oberoi and Anika’s marriage had to happen as destined, since all their pre-wedding rituals also got completed unknowingly by twist of fate. They wish Shivaay also accepts Anika as his wife. They don’t want Shivaay to ruin an innocent girl’s life. What will happen next? How will Shivaay (Nakuul Mehta)realize his mistake? Will he realize his love for Anika? Keep reading this space for more latest gossips, upcoming twists and updates of Ishqbaaz!